Spring is here, and that means it’s time to break out the rubber gloves and scrub every inch of your home until it sparkles and wafts of fresh-cut grass and bird songs come floating in your open windows. Okay so maybe that’s just how spring cleaning goes in your dreams, but if you want to get that same new season, new me feeling without going full Cinderella on your place, we suggest tackling this oft-forgotten spot: your freezer. Yes, your freezer requires some TLC at least once a year, and if Marie Kondo taught us anything, it’s that your kitchen (freezer included) should be filled with all the joy-sparking foods you love—not shunned as the hideout for frozen pizzas and freezer-burned leftovers. 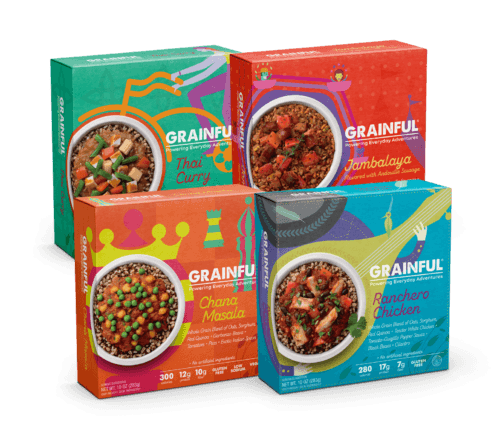 ICYMI: Your freezer can actually be home to a ton of good-for-you foods that come in clutch when you’re in a pinch, and the prime example is Grainful® Frozen Meals. These upgraded takes on your favorite homemade grain bowls are frozen for mindful mid-week munching sans meal prep, and come in a variety of food-truck-inspired flavor profiles—hello, Wednesday night Thai Curry. 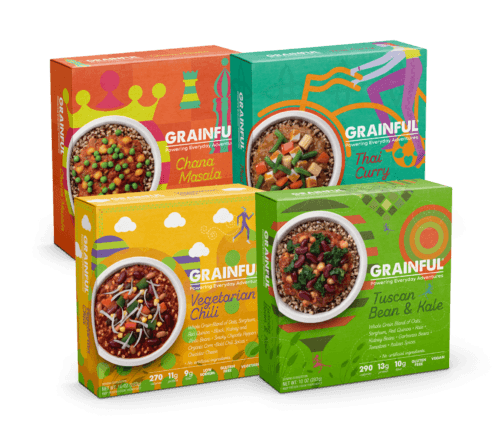 Plus, the clean ingredients cater to whatever eating style you follow, from gluten-free to vegan, and more. 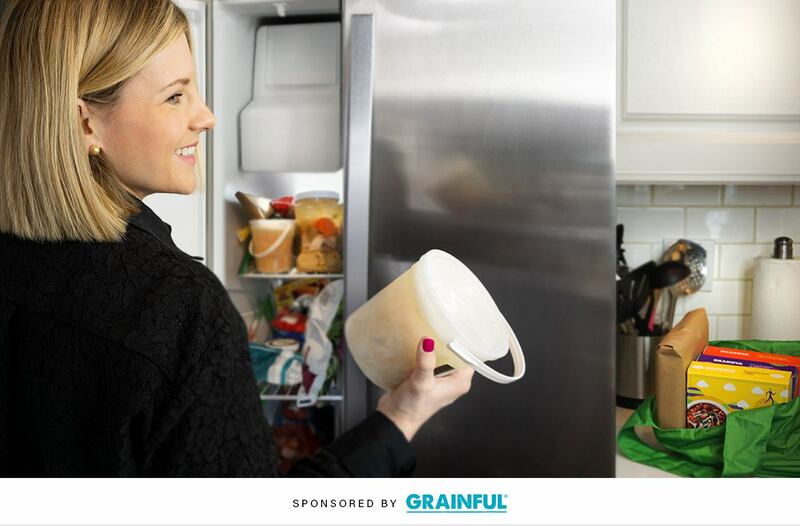 To make room for the food you actually want to eat—instead of moving around the stuff just sitting in your freezer collecting ice—we tapped Abby Langer, RD and owner of Abby Langer Nutrition in Toronto, to help you tackle your freezer situation like a health pro. “Don’t be afraid of frozen foods,” Langer says. “They’re one important weapon in your healthy eating arsenal to keep you from resorting to takeout.” Preach. Scroll down for the 3-step process to giving your freezer a healthy makeover. In order to get everything in KonMari condition in your personal frozen food section, you’ll want to have a grasp on the longevity of your fave foods. Langer’s rule of thumb is “any meats or dishes containing meat or fish I wouldn’t keep past six months, and veggies and fruit up to one year.” And let’s be honest, if you’re waiting an entire year to eat something, you probably don’t want to eat it. Real talk: How many times have you thrown out an unidentifiable frozen baggie of… something because it was too freezer-burnt for you to remember what it was, let alone entice you to eat it? If the answer is literally ever, Langer suggests investing in thick glass containers with solid lids, so that your leftovers don’t meet the same icy demise. Plus, glass containers are way easier to clean, so when you finally do polish off your signature turkey chili, it won’t be a total hassle. Once you’ve tossed the old stuff and organized the rest, you’re ready to stock up on nourishing freezer meals and ingredients. In Langer’s freezer, you’ll always find veggies and a bag of peel-on, raw shrimp. She also regularly makes quiches, butter chicken, and pot pies that she freezes, then serves whenever a specific hankering strikes. 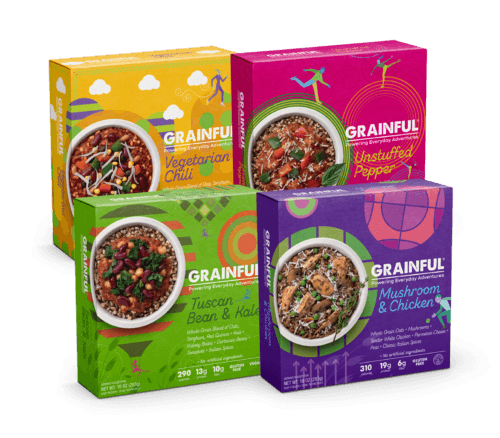 When you really want to move fast in the kitchen (without sacrificing taste or your goal to not eat takeout), opt for a Grainful® Vegetarian Chili or Ranchero Chicken bowl, which will put a flavor-blasted dinner on the table faster than you can tap through all your Instagram stories. And in case you’re worried frozen options won’t pack the same nutritional punch as fresh ones, Langer put those doubts to bed. 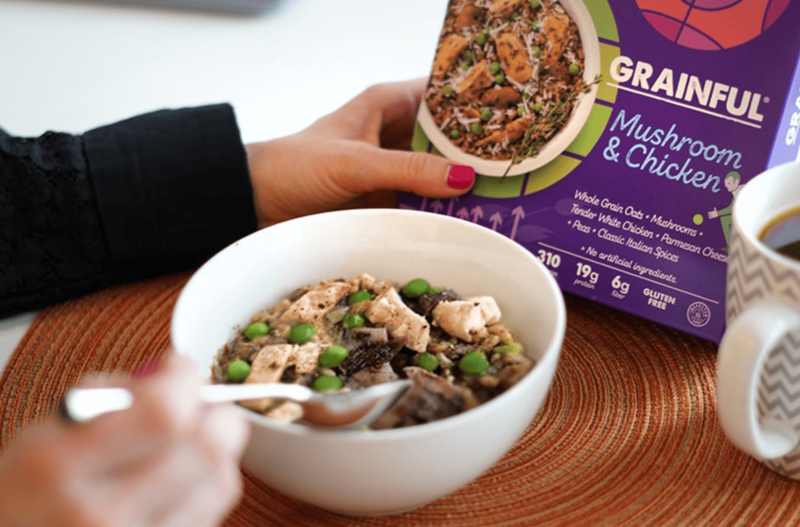 “[Frozen meals’] nutrition is as good as fresh food, and they’re ready very quickly,” she adds. So, put on your Marie Kondo pants and get to cleaning, err, eating.